Every girl has her birthday tradition. For my friend Javai, since she turned 21, her birthday has included getting a new dress from BCBG and partying VIP style at a hot DC nightclub. Since the tradition began I have been a witness and a to the festivities. This year Javai wanted to put a spin on things and she asked me to make her birthday dress. I was honored and I decided to make her a dress worthy of her special day. 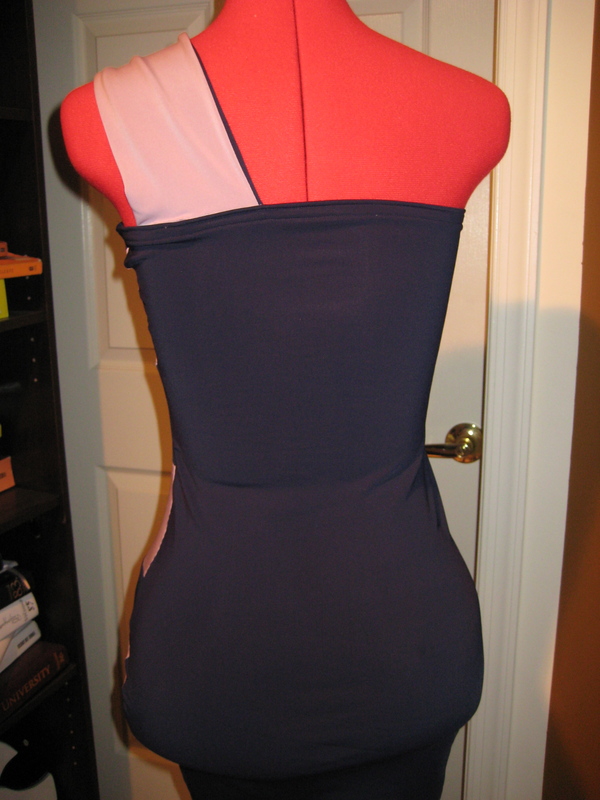 I made her a navy body conscious dress with a unique twist on the one-shoulder twist. The dress featured lilac diagonal panels highlighting her curves and one lilac asymmetrical strap. The dress was perfect for a night out with the girls and Javai was pleased to break her birthday tradition just to have a Nichole Alabi custom creation.